Multitalent Tobi Neumann lives in Berlin. He'd already made himself a name as producer of commercial jingles and movie soundtracks when he got infected with electronic music at the '95 Love Parade. Soon he'd become resident DJ at Munich's Ultraschall II where he hosted the legendary Flokati House Club since 1998. Tobi Neumann is now in the artist roster of Sven Väth's DJ-booking agency Cocoon. His productions for Chicks On Speed, 2Raumwohnung, Miss Kittin a.o. 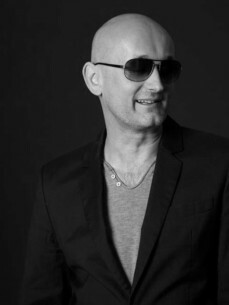 made Tobi Neumann one of the driving forces in the German house and electro scene.